Use the drop-down menu below to explore Argentina. 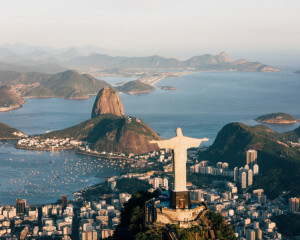 Argentina is full of incredible sights, including the amazing Iguazu Falls, spectacular Perito Moreno Glacier, dramatic north-west Andes and the majestic Lake District, not forgetting the fantastic capital city of Buenos Aires - the birthplace of tango! Of course, travel through the Pampas grassland where the beef cattle are reared to produce Argentinas famed beef. 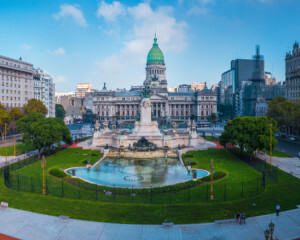 Visit the stunning capital Buenos Aires, with its impressive 19th-century architecture which includes the city's stunning presidential palace, Casa Rosada. Explore other cities such as Ushuaia, regarded as the most southern city in the world and situated by the Martial Mountains and the Beagle Channels with many Antarctica cruises departing from here including "Penguin Island". Parts of the north of the country are subtropical, with rainfall mainly in the summer months. For example, the capital city of Buenes Aires is home to a humid subtropical climate, with an average yearly temperature of 18°C and annuall rainfall over 1000mm. Summer here can see highs of 30 degrees, while in winter in the coldest month of July the mercury can fall below freezing point. In this part of the country you will often witness spectular thundersotrms and it is also home to the largest hail in the world! Like the rest of the country the conditions in Central Argentina vary as you head west to east and north to south. Like any part of the world weather will vary with varying elevation, and as the Andes mountain range lies to the west this has a huge affect on the climate. Most of Central Argentina is made up of the plains of Pampas which is the most rich agriculture region. In this area there is healthy rainfall mainly falling in the summer months, though droughts are not devoid in the winter months. As a whole this region has a healthy pleasant climate as it lies well outside the tropics and is mdoerated by the east coastal influences. If you compare the conditions for Buenos Aires in the east and Victoria in the west you can see the affects of moving from east to west. As you move toward the west you will near the great Andes mountain range which acts as a border between Chile and Argentina. It is the Andes range which is the reason why southern Argentina is realtively dry considering its elevation. The mounatinas act as a rain shadow and a barrier from westerly winds blowing from Chile. 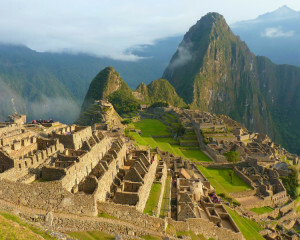 As a result you witness drmatically different conditions on either sides of the Andes. See sees wet and cloudy conditions for a lot of the year, where as Argetina is comparatively drier and some parts particulary when much closer to the mountains are arid and desert like. In the south of the country the weather becomes much cooler, while summers are still warm the winters are cold and can see heavy snowfall- especially in the mountains. In this region the climate is continental with a large variation in temperatures not only across the year but also from day to night. In the very south east the land is flat and arid and can best be described as semi-desert.